Post anything racist, mean, or derogatory. This includes discussing those who attend "regular school"
Post e-mail addresses, unless it is a "dummy e-mail", set up for the sole purpose of communicating with other members of THC. This must be a gmail account or something similar, NOT an internet provider e-mail address. *A note about location: You may post the nearest BIG CITY (unless you live in the middle of nowhere, then you can say so) Please do not post your actual location on the forum. If you feel safe doing that in a PM, I cannot stop you, but on the forum, this is law. 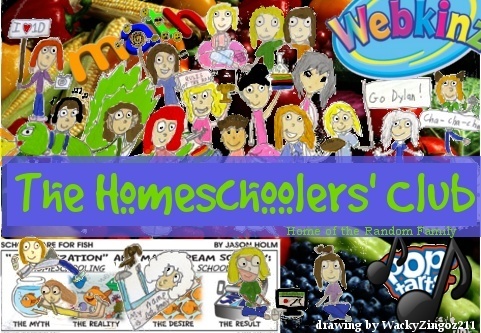 Make any sort of plans for WI's homeschooler's club (our original home). This could result in the permanent closing of THC on WI. NO trading of WW items here, please. Try to stay on topic. We have the chatbox and the chat thread (in Open Book) for a reason.